Private cabins with hot tubs and transport between highlights makes trekking in winter a really special experience. 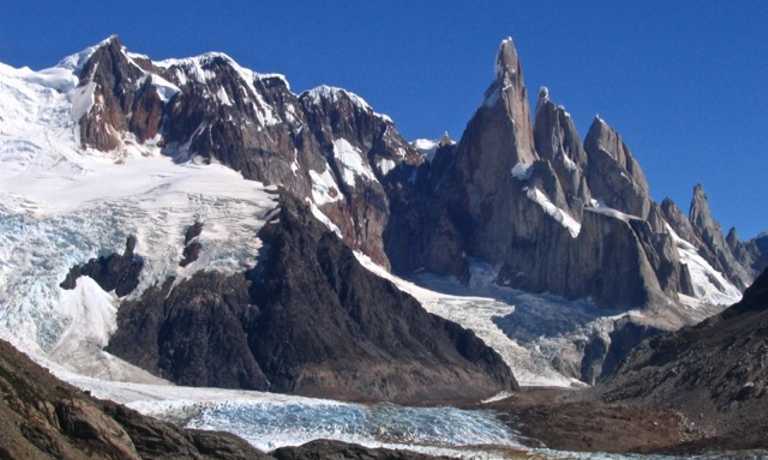 See the towers and the enormous Glacier Grey, and make a stop at the rarely-visited Pingo Valley. You'll have the snow-covered park almost all to yourself - something that few people ever experience. Early in the morning (7AM) we will drive to Torres del Paine National park. We begin our first full day trek, heading to the base of the Towers lookout point following the Ascencio River before entering the Ascencio Valley. Our walk will be uphill for one hour, stopping to observe the first glimpses of the valley and panoramic views of the Lake Nordenskjold. During the following 2 hours, we’ll walk through unbelievable forests of tall deciduous beech (Nothofagus Pumilio) and waterfalls, and then continue ascending through a huge terminal moraine up to a photographic view point (900m). From here we will be surrounded by three giant granite towers (2850m) and a lagoon with slurry waters resulting from glacial erosion. We will stop here for lunch, taking our time to enjoy this astonishing scenery, before our descent returning along the same path back. 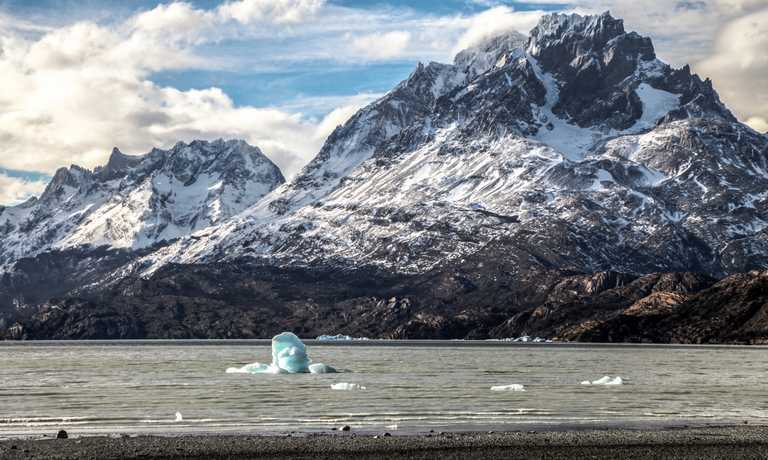 Early in the morning we start our day by going up the Grey Lake, with its impressive glacier of the same name, forming part of the South Patagonian Ice Field, third largest reserve of ice in the world, 350KM long. We will make a short, flat walk, through a mature beech forest with possible sightings of Chilean flickers, austral parakeets or torrent ducks. We will cross a stony beach to arrive at a view point on a peninsula from where we can see deep blue icebergs surrounded by forests In the afternoon we start a hike to the Pingo Valley for a walk to the “Cascada los Salmones” where we’ll stop to take in the view before returning back along the same trail, with a chance to find the elusive Huemul (Andean Deer). Then we take a transfer back to our accommodation. We make a stop at the Salto Grande waterfall to do our first hike to a look out point of the Paine Grande (3050m) and the Nordensjkold Lake. After enjoying a good picnic, we start a walk to the Cerro Condor, a path with panoramic glimpses of the park. This area is known for viewing the flight of the condor. After these hikes we start our drive back to Puerto Natales. Breathtaking! The treks through the park were the highlight. Our guide was extremely competent and knowledgeable. Everything ran seamlessly and the trip was amazing. My highlight was our walk into the French Valley; Torres del Paine certainly is an amazing place and our guide was great, I couldn’t fault him. Ran like clockwork. Pre-trip yarn by guide useful, Victor was a legend, proper invested guide. Accommodation recommendation spot on in town and very adequate refugio. Upgrade to Hotel Lago Grey available; please ask when enquiring about availability. Option to "add on" an additional two days including Horse Riding and Kayaking at the cost of approximately USD $700. Please see the itinerary here. This trip can run as a group trip, with prices starting from $1,095 per person for a complete group. If you are looking to join a group or you are a solo traveller we will help to form likeminded groups of travellers. Please let us know your travel plans.